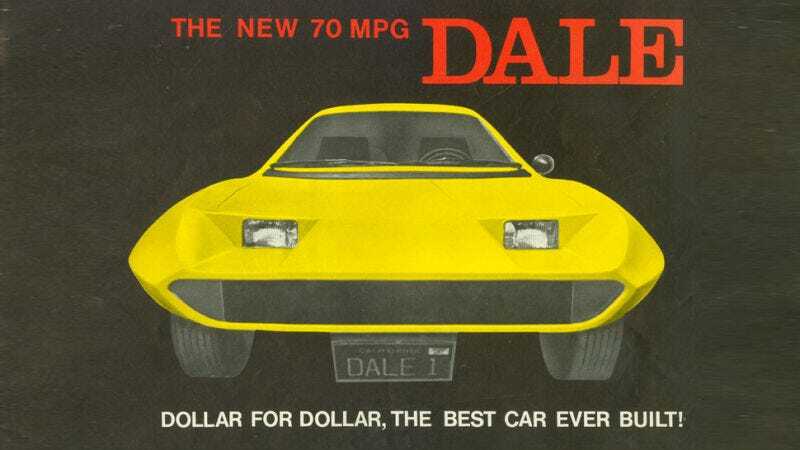 Deep in the bowels of the Malaise Era, a grand scam was born: the Dale, a hyper-efficient 70 MPG car aimed at alleviating the woes of high gas prices. Not only did the car never work, but it amassed $33 million in investment and was even featured as a prize on The Price is Right before the whole scam fell apart. A 1973 embargo made fuel ridiculously expensive, which meant that many were looking for a quick and easy fix. Engineer Dale Clifft came up with the Dale—a three-wheeled vehicle built in his garage making extensive use of motorcycle parts. He registered the original prototype as a motorcycle, problems and all, but it was a captivating enough idea for transgender entrepreneur Liz Carmichael to pick up to try and turn into a profit. Carmichael, turns out, was not the woman she said she was, with backstories that didn’t check out and wild promises of the car that aroused the suspicion of regulatory authorities and Car & Driver that were ultimately the Dale’s undoing. When Car & Driver went to investigate the Dale, the prototype lacked a steering wheel, had no gas pedal, and featured a lawnmower engine in the engine compartment—just for show. Carmichael’s company ultimately never recovered after the murder of an employee piled up more bad news about the company on top of the now-skeptical instead of glowing press that was dogging the Dale. I’ll let The Roman from Regular Car Reviews whip out his best public radio voice to tell the full, unbelievable story. Not a single Dale was ever truly complete, and Carmichael never even got a license to sell cars at all. Poor Clifft never got to see his millions of dollars in royalties, either.